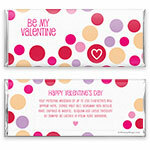 Make hearts skip a beat with this fun and unique Valentine wrapper. Design: Colourful circle pattern with a heart accent. 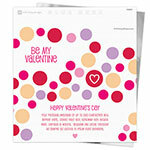 Personalization: Front greeting and message on the back.